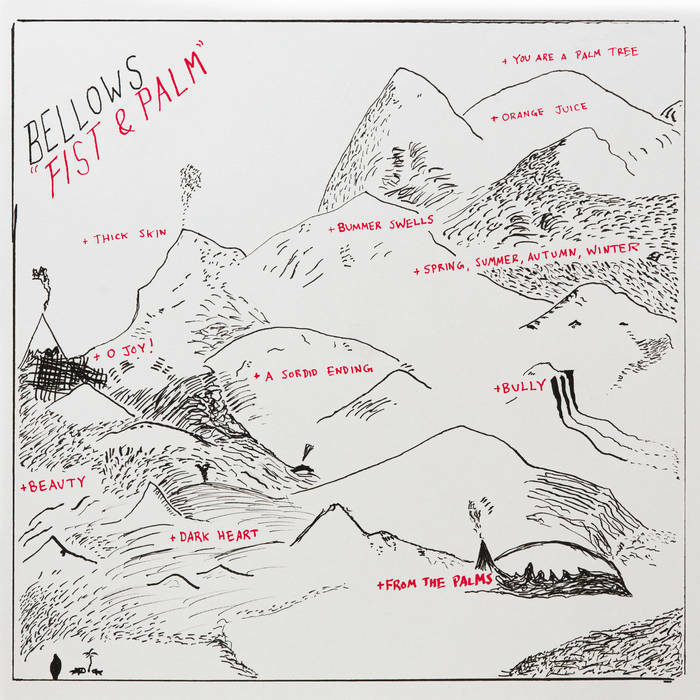 "Fist & Palm", the third full-length album by Bellows, documents the dissolving of a friendship. 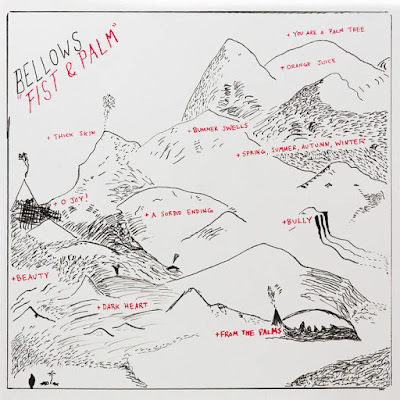 The album's narrative trajectory is an anti-narrative, beginning and ending in the same place: in the backyard of a shared house, on the night of a petty argument. The circularity of the album's timeline underlines an overarching theme of the record -- the realization that when the satisfaction of a real resolution is denied, beauty and meaning can be found only in its pursuit. As I pursue happiness and the discovery of beauty, I find that satisfaction exists for me only in a perpetual sense of 'going', of always moving forward, and accepting that although some goals can never be achieved, and some failures are guaranteed, there is "beauty in the certainty of never reaching what I'm after."